What an exceptional photo opportunity. Thanks for your kind comment on my blog,much appreciated. Love your photos as well. My SIL lives in NSW so I will enjoy following your blog and seeing the farming photos as oppose to life in Epping. I spent many years farming in Rhodesia before it disappeared as Zimbabwe (!) so farming is of great interest to me. Love this spider web, nature has so many amazing photo opportunities. 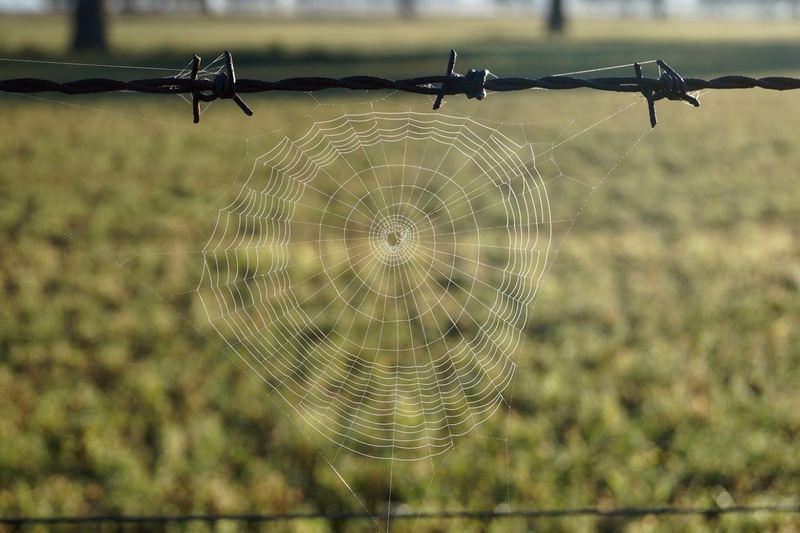 Webs and barbed wire are a perfect combo. Don't see such a perfect web very often. Nicely captured. Fantastic. I have a hard time getting decent shots of spiderwebs. This one is so cool. The engineering is amazing to think about, isn't it? What a great shot! Fun shot. 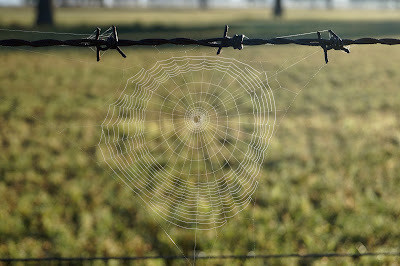 I like the contrast between web and barbwire.